Should Pastors Preach the Gospel at Funerals? 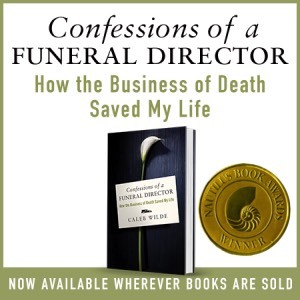 Yesterday a modified version of my “Why 99.9% of Pastors Agree with Rob Bell … at Funerals” was featured on www.ChurchLeaders.com. That post stirred up a lot of discussion on my website and it’s doing the same over at Church Leaders, where, I was told, it vaulted itself into the Top Ten most read articles at Church Leaders. It was truly an honor to be featured at Church Leaders and I was so glad for the discussion it sparked! Such a response sorta misses the point of the article. The point of the article is to underscore that pastors will often preach a wider hope during death that contrasts both their attitude towards the lost and their theology. Ultimately, my intention was that they’d see this contradiction and be moved to question both their theology and attitudes in light of the wider hope they have at the funerals of unbelievers. Yet, not only do some pastors miss the point of the article, I think “Just preaching the Gospel” misses the point of the funeral. Some families, even Christian families, are adamant that funerals are NOT a time for the preacher to use the death of their loved one as a platform for evangelism. While other families are equally as adamant that funerals are a time to “take inventory” of the lives of the living. Here’s my take on the whole thing: some Christian Pastors (and many of us Christians, including me) are losing touch essentially because we have a dualistic and individualist understanding of the Gospel! How do I know we’re losing touch? Because families, that would normally use a Christian minister are turning to other sources. The Celebrant Movement is taking off, and quite honestly, they do an exceptional job in honoring the memory of the deceased. Celebrants make the service incredibly community oriented, often bringing memory objects that help spur family and friends into sharing their thoughts and feelings for the loved one. And that’s essentially what Celebrants do so well … they find a way to involve both the memories and voices of others in the service, creating a collage of memories by the voices of family and friends, all of which produces a great sense of life in the midst of death, as people are laughing, crying, hugging … all during the funeral service. Some pastors are great at encouraging family and friends to speak (in fact, many in my community are really good at it), but others will take the funeral as a platform in disregard of the memory of the deceased. The reason for Pastors losing touch is because their Gospel is out of touch with the present, as it’s so focused on the future. As I’ve said before and I’ll say it again, we’re more worried about getting the individual soul to heaven than about bringing the kingdom to the world. We’re more worried about getting “decisions for Jesus” than we are about making Jesus disciples who will transform the world now. In the context of a funeral, part of “transforming the world now” is addressing death as real, our grief as real, acknowledging the sorrow of God over death, and yet planting that seed of hope in the Kingdom come and resurrection. It’s bringing our memories of this world together with our hope of the world that’s been inaugurated by Christ and is here, but is still not yet. It’s not about emphasizing sin over grace, or grace over sin, BUT EMPHASIZING CHRIST IN THE WORLD … TRANSFORMING IT INTO SOMETHING NEW! The Gospel isn’t about bringing somebody to heaven. It’s about bringing heaven to us. Wasn’t that the Good News … that the Messiah had come to dwell with humanity? And if heaven can be brought to a funeral, through good memories, love, tears, laughter, correction, and the hope of Christ, than by all means preach it. Today, Ken Knickerbocker and I are trading posts. Ken generously provides the residents of Parkesburg, Pennsylvania (which is where my wife and I reside) with “Parkesburg’s News and Happenings” at his website, Parkesburg Today, fulfilling a much needed service to our community. On May 1st of this year Ken suffered the loss of his father. I’ve always thought one of the best things we can do as we experience loss is try and write our thoughts down. Not only has Ken done this, but he was gracious enough to share his thoughts here, allowing us to take part in his experience by sharing his lose of a parent, as well as the funeral rites he gave to his father, and the help provided him by a funeral director. Sharing a personal grief experience with another is a sacred act, so read as though you are on sacred ground. 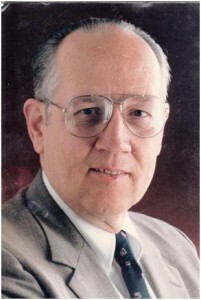 A Photo of Ken's Father. All alone laying on a table in the middle of a big empty room with only a hospital-like gown covering his body is how I found my father last week when my brother and I went to the Minshall Shropshire-Bleyler funeral home in Brookhaven a few miles southwest of Media, Pennsylvania to dress his body in preparation for the viewing and funeral service two days later. My father had passed away three days earlier following a four year battle with cancer and Parkinson’s disease. He had taken a bad fall in January and ended up in the hospital with a fractured skull. After his fall it was all downhill health wise for the poor man. Over the next four months until his death on May 1st he spent at most two, maybe three, weeks at home. His passing, while sad, provided my father certain relief from his physical ailments and an increasingly frail, feeble existence. Two days after he passed, I went to the funeral home with my stepmother and siblings to finalize arrangements for my father’s funeral and burial. Mike Okon, the funeral director, met us at the door, welcomed us, expressed sorrow for our loss and ushered us into the funeral home’s spacious conference room. Mike sat patiently for an hour as my stepmother and I hammered out the wording of my father’s obituary and then reviewed the details of the itemized invoice line by line with her to ensure she understood and agreed with each of the several charges. At the end of the session Mike walked our family to the door remembering each of our names as he said goodbye. Two days later my brother and I returned to the funeral home to dress my father. Dressing a body is not something one does every day but in our religious tradition men dress deceased males and women do the same for their departed sisters. Usually someone from the deceased person congregation is designated to dress the corpse but in my father’s case, my step mother assigned the task to my older brother Chuck and I. While Chuck and I have been members of The Church of Jesus Christ of Latter-day Saints (the Mormons) since my parents joined the church in the late 1950’s, neither of us had much experience dressing a body. Chuck had never done it and I had only done it once, a few years back at the Wilde Funeral Home in Parkesburg under the watchful and ever helpful guidance of Bud Wilde. Mike ushered us into the room where my Father’s body lay and turned to leave. Quickly, before he reached the door, I summoned Mike back and asked him to stay and assist us. He informed us he had never dressed a Mormon for burial and wasn’t sure how he could help. Over the next hour Mike demonstrated all the attributes of the true professional. As my brother and I slipped slacks and a shirt, both white, over my father’s lifeless limbs, Mike showed us how to shift my father’s weight to position the clothes on his body. Once the shirt was buttoned, Mike tied the tie, also white, and slipped it over my Father’s head and under his shirt collar, tightening it perfectly around his neck. Chuck placed socks and shoes, also white, on my father’s feet. Using tricks of his trade Mike filled out my father’s clothing to mask the weight dad had lost in the months leading up to his death. Finally, as Chuck and I placed the robes sacred to our faith over my father’s shoulders and around his waist, Mike made sure every crease and fold laid flat. Thanks to Mike’s master’s touch in the hour it took to dress him, my father’s body was transformed from a lifeless corpse to a man ready to meet his maker. A tranquil experience my brother and I won’t soon forget made possible by a consummate professional funeral director.